Takeshitan Kintereilla: now I can fight Finnish demons too! 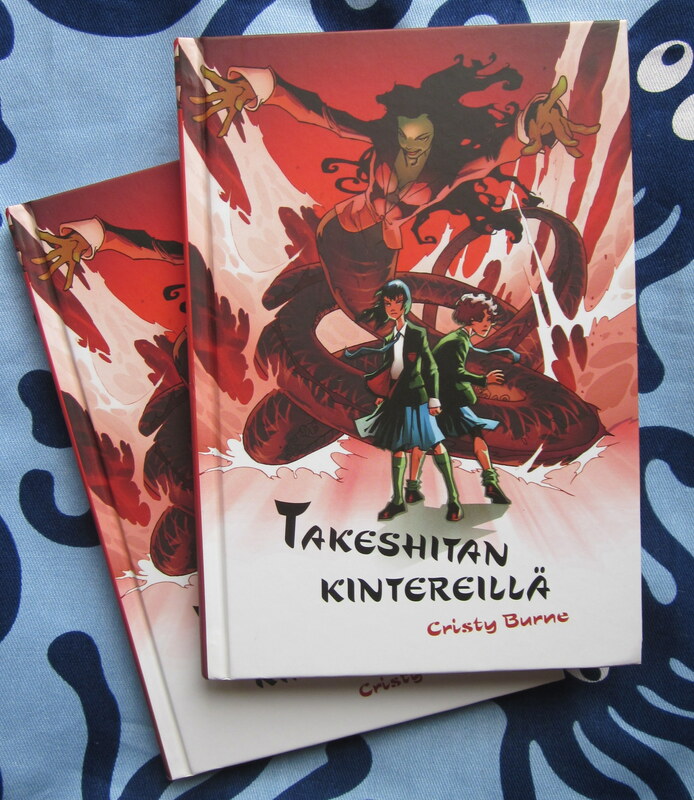 Yesterday I got my hands on the latest copy of Takeshita Demons, in Finnish! The books look and feel fantastic. They’re hardcovers with a matt finish and they’re small, almost palm-sized. Basically, they’re super-tactile and I just want to stroke them all day. If only I could read Finnish! You are too good! Perhaps we can organise a books-for-octopus trade 🙂 Your stuff is gorgeous Joanne! Thank you! And yes, I think so?? Flicking through, the only words I understand are in Japanese 😉 🙂 Hope your writing is going well…and congrats on the new job! Woo hoo!